a clean jdm is more peace of mind than a pkdm. ive a jdm 03 vitz at home. it has never embarraced and disappointed me. it never broke down on the road anywhere ever. it just requires timely periodic maintenance nothing else. it has clocked 140,000km on the odo. maybe the metre might be reversed to when it was imported back in 2008 but it is still running strong and can beat any 1000cc pkdm in respect to comfort, performance and peace of mind. the thing is about mind set. a person with a mindset that jdm is crap and pkdm wont give troubles will find any possible excuse to not buy a jdm. as i said, i am saying this based on my experience. things on paper or in mind are different than what are on ground. if you get an unabused jdm. youll have to spend couple of thousand ruppees to get it detailed and to change lubricants and to get brakes, ac etc serviced but the way prado will serve you, a fortuner will never be able to. i cant force you to get a prado. its your hard earned money and it is your right to spend it your way. but i can surely advise you the right thing based on my experience. rest is upto you. Best of Luck. Dont waste money on this at all ! Please figure out the difference. Aoa. If you want to buy a brand new one from lahore, I might be able to get you a good deal. Give me a call at 03008411186 if interested. So which way are you going? Your argument is correct but it's your luck if you don't self import and buy from a dealer or locally driven JDM. I had a bad experience with my JDM Vitz 2005 model. It turned out to be accidented, painted, bad suspension etc. Had to get catalytic converter removed only after a few thousand miles of driving it and frequent issues under the hood. So it all comes down to your luck when buying JDM. There's no doubt I know people who had excellent experience with JDM cars and those who had like mine. I had read ur review in 2013 when u drove a fortunes and gave very bad marks in review in pal wheels. After a year I see u giving positive reviews.. Don't understand as I'm also in market fo suv where money isn't a issue but halal ki kamaey hai so don't want to waste it. I drove a brand new fortuneer today and found suspension very rigid which I was told that as its new so that is y.. After reading ur reviews .. I have gotten confused.. I myself now own a Prado and my opinion hasn't changed about Fortuner. The only difference in opinion after having Prado is that you get what you pay for. My main concern even at that time was that it's expensive and that has proven right. A brand new Fortuner costs 5.3 million after registration and if you decide to sell it after one year it's worth 4.2 ~ 4.5 million. If it was priced around 4 million it would retain it's resale value. But in Pakistan depreciation of expensive/luxury cars is a lot more then Corolla and Civic. You would face the same depreciation rate with even imported SUVs. The 2nd difference is that Fortuner shouldn't be compared to Prado or Land Cruiser. They are far superior but Fortuner isn't bad in it's class so basically it comes down to the point "jitna gur dalo *** utna meetha ho ga". 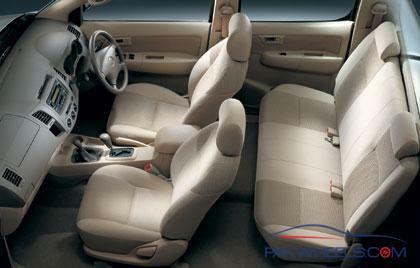 If you don't have budget limits then go for 2011+ Prado which is relatively new but don't think of buying older shape. 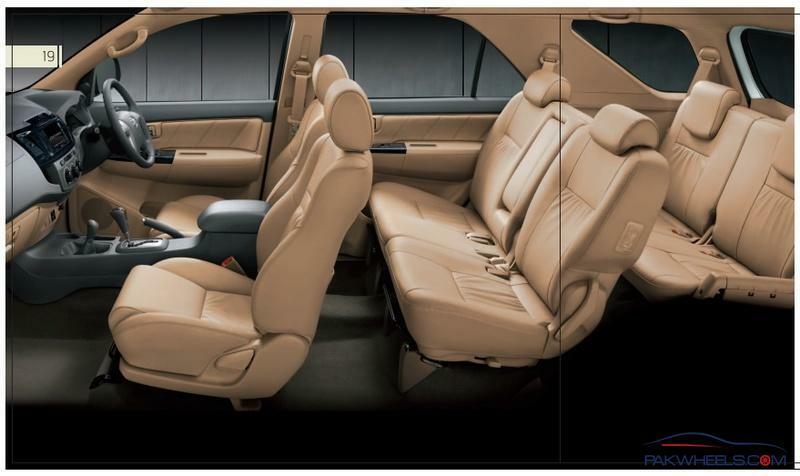 You are much better off with a brand new Fortuner. Fortuner has some short comings including stiff suspension but you can live with it and get used to it. Dear kala... thanks for your reaponse. Which opinions the good or the bad ones? And as u have owned both prado and fortuner.. new fortuner suspension is better or 2011 proado suspension? Also i heard 2700 cc prado 2011 is underpowered and u feel like driving a gli in a shape of prado.. is that so? Once again you are asking wrong questions and comparing 2 different class vehicles. Do you expect me to say that Fortuner is better than a latest model Prado? You know the answer. All I can say is that if you have the money go for 2011 model Prado but don't waste it on 2003-2009 model. You will be better off with a brand new Fortuner. About 2.7L being under powered, sure it is under powered but if you can afford a 4L engine that costs as much as a LC then go for it. I have had no problems accelerating and taking over any car I want but SUVs are not meant for drag racing. If I really want to accelerate I switch to manual gears and it starts acting like a car and really hard to catch. However, an SUV of this size requires a lot of breaking power and hard to stop if you have to apply emergency breaks so that's why SUVs are driven slow. And on top of that Japanese are not stupid to make a domestic model with 2.7L engine. A 4L engine Prado is hard to find means it's not widely produced or popular. By the way Fortuner and Prado carry same engine but Fortuner's engine is detuned and you can easily unlock the extra horses by installing unichip but Fortuner being AWD is a better off road SUV but sluggish on tarmac.